Thanks to a really old motherboard that went out I just acquired a new Asus ROG Crosshair VI Extreme motherboard and Ryzen 2700X Processor. It has been some time since I built a high end machine, mostly just desktops for an office. The last time I built a decent machine based on the end date of the warranty on my old Asus P6T mobo I am guessing it was somewhere around 2009. The intel I7 was pretty new at that point while usually an AMD guy I gave it a shot, apparently a really long shot. I did at one time upgrade my video due to a failed card and got a new case, but I am getting off track. Since it has been so long a lot of things have changed. 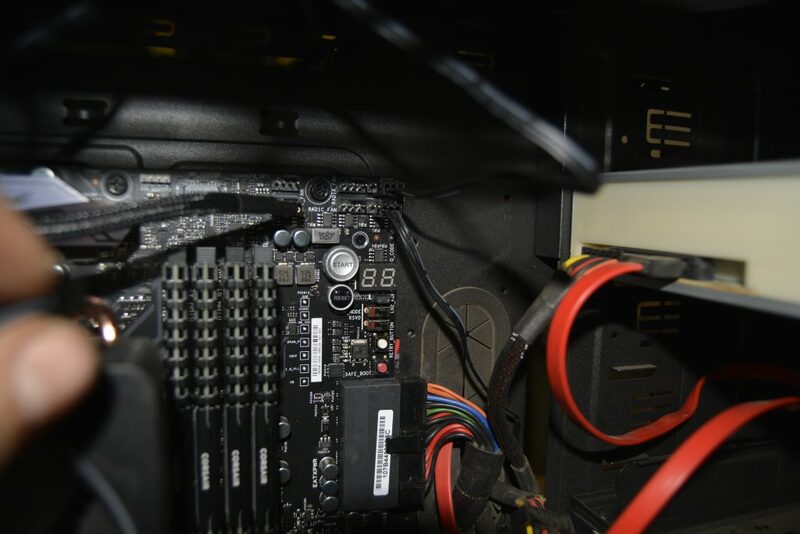 Besides 16 frikken cores apparently you cant get a good high end gaming mobo without RGB. That’s right everything has to have LEDs now. But really that is ok, I like LEDs. Just look at some of my projects. With my new computer system I kept my old case, the Cooler Master Haf X. It really is a great case with some big fans. After getting the computer together and turning it on the RGB LEDs lit up which was pretty cool but within minutes a horrible sound came from one of the big 200mm fans up top. The bearing had gone out and it was screaming. Since I have this bright shiny new mother board I decided I should get something that works with the Asus Aura Sync lighting control. A quick search on Amazon and I found some really high priced ones and some lower cost ones. But the only ones that had the sizes I needed were the BitFenix SPectre Pro RGB case fans. So I hopped on Amazon and bought some of these. Five fans total to replace the four existing fans in the case as one of the top fans was an optional addition to the Half X case. 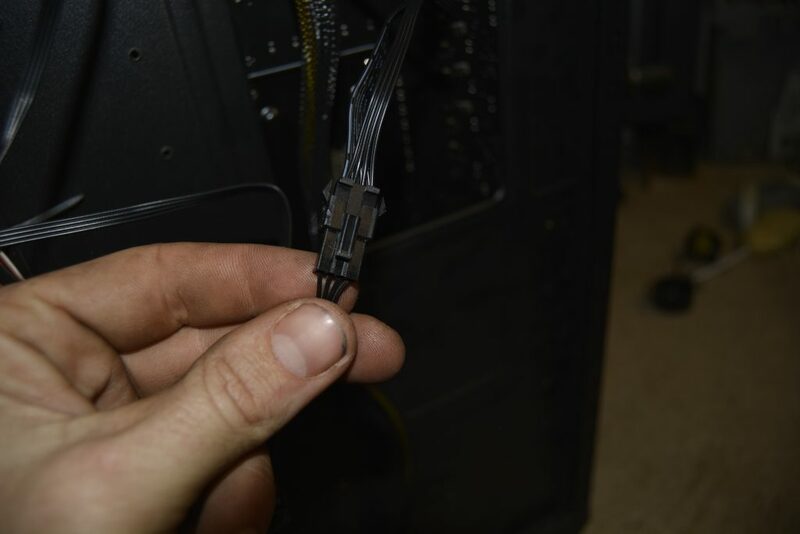 But more cooling, ok LEDs cant hurt right? So I take my computer down off its shelf, pull everything apart, install all the case fans then put everything back together. 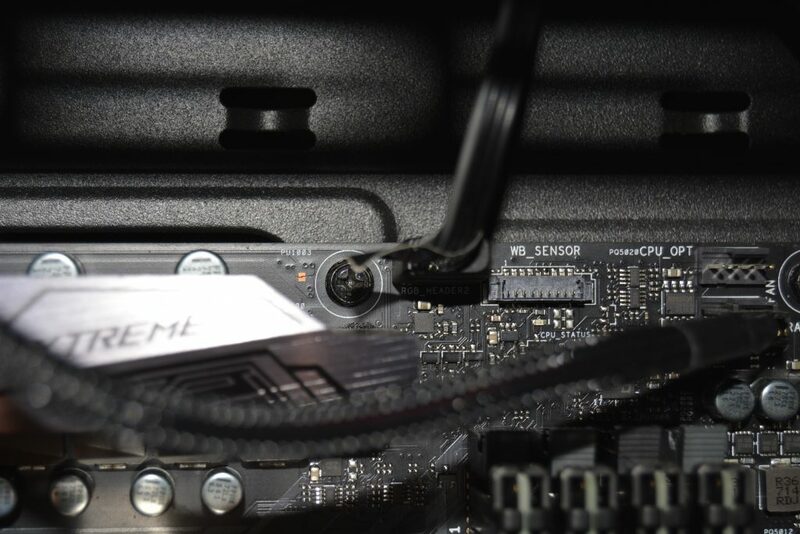 By the way I must say that I was impressed that the fans came with all the screws and the connectors that they did. Most MFR might include the most popular option of screws and cables but BitFenix did the right thing and provided numerous options for different mounting and cable types Good job. I daisy chained the fans going from back to front. Back, top, top, front, side. The wiring is pretty straight forward on the connections from one fan to another as the connectors only let you hook them up one way. 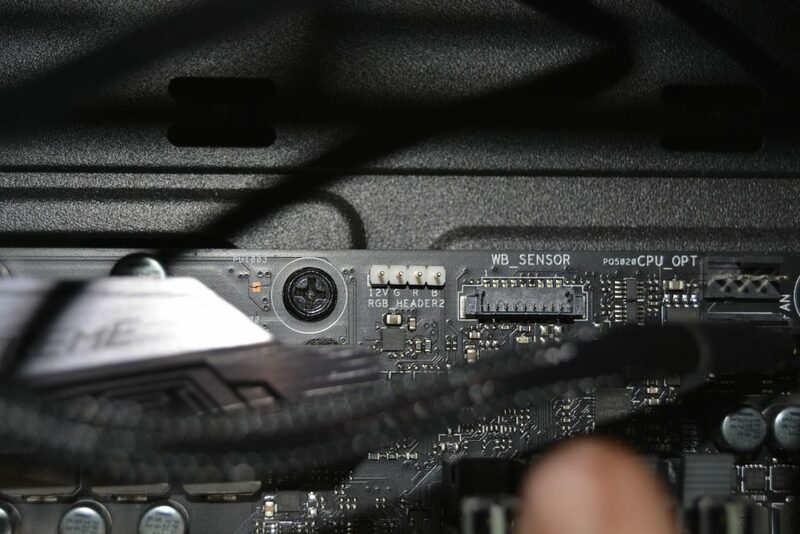 The 3 prong connectors to connect the actual fan to the MB of course are just as easy. Then I started to connect the daisy chain of LED to the MB, but wait what is the proper way, which header do I connect it to? I jump on the web and look at product details, nothing. I look at the product questions on Amazon, Nothing. Go to the MFR website, NOTHING. I look again at the box and start to question if these are 12v or 5v. 12v is just RGB, 5v would be addressable. The 5v header only has three pins though and this has four. Also it appears to be the same RGB header style that I plugged my cpu fan into. SO I figured it must be 12v and plugged it into that header. As a side note here I figured that the little arrow on the plug meant that it should be going to 12v just like my CPU fan. Turn on the computer and to my amazement, there was nothing. Fans were running but no lights. No glowing no nothing. It took me maybe an hour to disassemble, put in the fans and put everything back together. I worked for three hours on this no light issue, but it could have been faster if I had done my trouble shooting better and quit searching online for the answer. I unplugged all the fans, took the side fan and plugged it in all by itself and what do you know it lit up. Then I plugged back in the daisy chain of lights and nothing. So I went one by one testing the lights. Side fan – check, top fans – check, front fan – check, rear fan, nada. No lights on the rear. Ok, so I daisy chain the known working lights and they all seem to work just fine. I plug the rear fan into the chain and all the lights go out. Eureka, I have a bad fan. I run back off to Amazon and start an exchange which is on its way now. I promise I will get to what you are waiting for but first my overall thoughts on the fans are that the output is pretty good, the LEDs when working look pretty good as well. The fans are made in a way that you could turn them around on their mounts if you had to. However one side does not have any kind of guard and the fans might rub on a surface if you put them that way. I had to move a filter screen to the other side of one fan. On the top two fans I had to place some spacers (nuts) under the fans so they would not rub the case. Other than the failed LEDs on on fan and the lack of shield or guard on one side they seem pretty sturdy but those two little flaws has made me nervous. Are these fans going to last? Time will tell but I am afraid to leave my computer on unattended anymore. Overall they are a price point RGB fan that will work with Aura Sync but you might be better off getting a more well known brand. 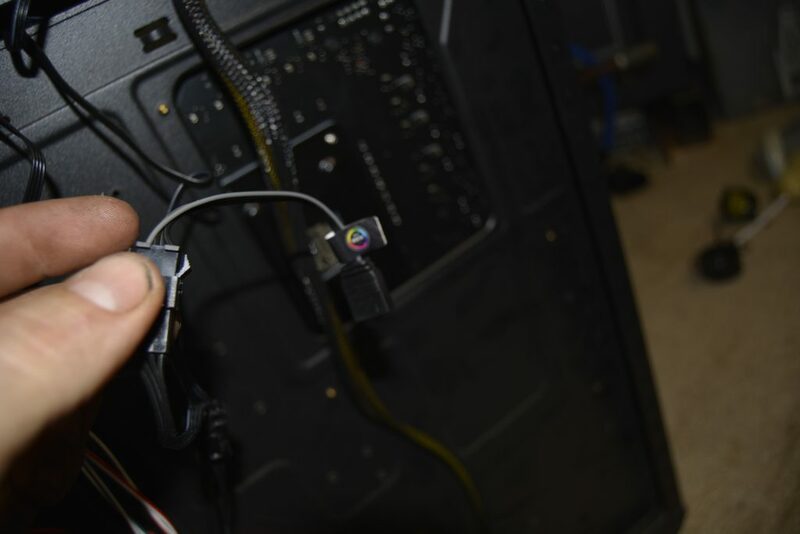 BitFenix Spectra Pro RGB LED Fan wiring. Now since I have not been able to find anything online for these things as far as instructions I will show you which header these need to be plugged into and how to set them up. The images will be a mix of actual pictures of my case and images made with my fancy photoshop skills. Take a look at the gallery below and it will show you how to hook these up. Thanks again for reading, hope this will help you. 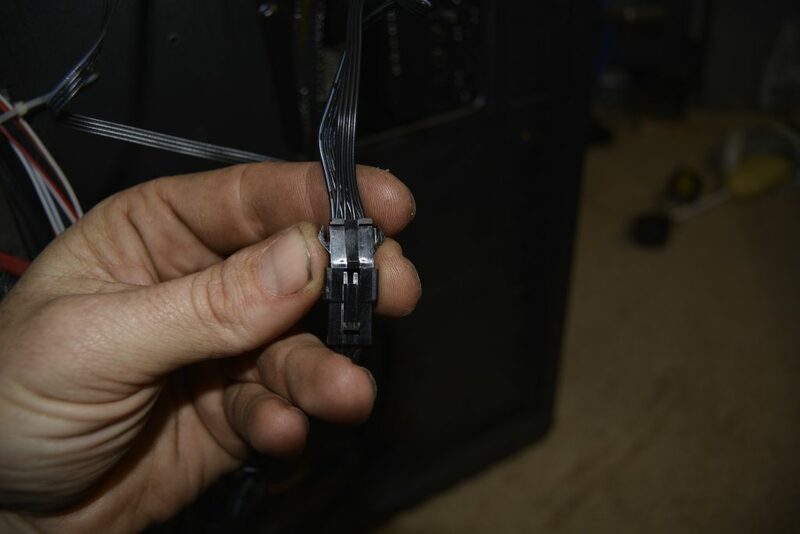 You have an option to connect the three prong plugs to your motherboard directly OR you can connect them to an adapter to run them straight to the power supply. In my case I hooked all but one fan to the motherboard. This plug just powers the fan. 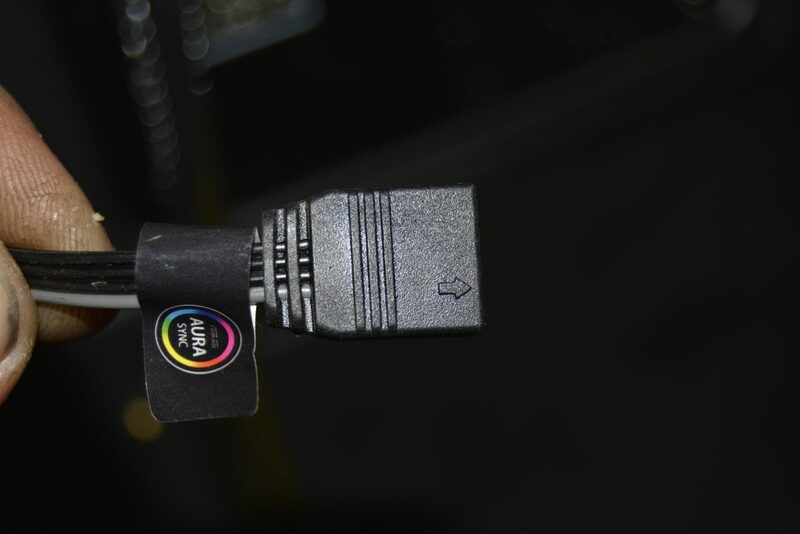 RGB Connectors connected, there is only one way to connect these. Now the part that I second guessed myself on. The motherboard connection. No information was out there but this should go to one of the 12v RGB headers on the motherboard. 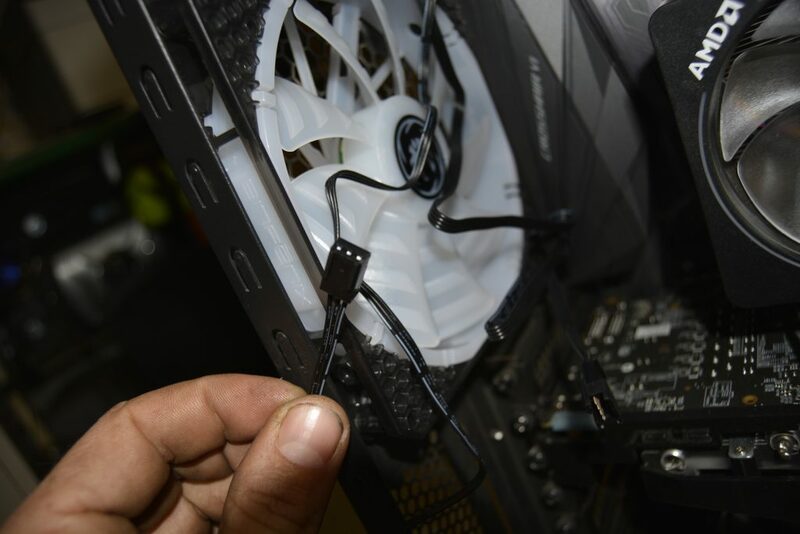 Connect the Aura Sync adapter cable to the fan chain and then to the RGB Header. Take note of the arrow on the adapter cable. That arrow needs to be at the +12v pin of the RGB header. The arrow indicates 12v+. Some Aura Sync cables have a grey wire, some do not. Make sure to plug the Aura Sync cable in with the arrow on the 12v side. Now that all of your fans are installed boot up the computer and open Aura Sync. As another side note here if you used the Aura Sync that came on the disc with your mobo. You might want to uninstall then go to Asus and download the new version. There is some new options on it. Select the proper color and click next. Select the proper color and click done. That is it you are done. Thanks for reading hope this helps someone. Next Post:Notepad++ Cura and Gcode Syntax Highlighting.